This review comes with a warning… I LOVED this book, so it might get a bit gushy in parts, you have been warned! 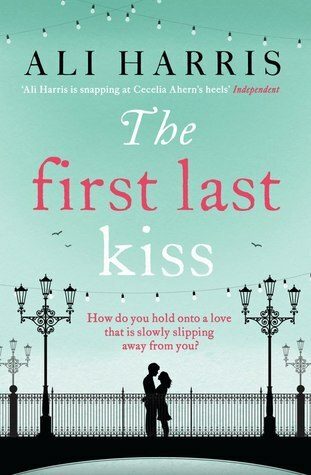 This is the beautifully written story of two people, Molly and Ryan, and their journey together over the course of twenty years told through Molly’s memories of kisses they share, and also the kisses they don’t share. Both main characters are very likable, even though they are so different. Molly isn’t your typical girly girl; she loves her Converse and dislikes public displays of affection. Ryan is the typical lads’ lad, good at football, but much more likely to cry and slushy movies than she is! I think it is because they are so different that I found it so easy to like them. The book isn’t written in chronological order. The chapters are interspersed with Molly’s kiss memories and the tale of her packing up a house somewhere in the year 2012, but each chapter rewinds to a different period in her life and a different memory of her and Ryan. I think that this structure gives the book a great pace. I found myself uttering the immortal lines ‘one more chapter’ because I had to find out what happened after the memory that I had just read. I think that fact that it is told in the first person also makes the book very easy to read, but it will make you fall in love with Molly and our hero Ryan! You become so easily invested in the characters you will definitely find yourself experiencing the highs and lows of their lives right alongside them. For me the book had a definite turning point about two thirds of the way through. The first part lets you into the lives of Molly and Ryan. You get to know them and the host of supporting characters, all of whom are so well developed they will begin to feel like your own friends and family. There is plenty of fun and frolics, as one would expect from a couple in their twenties, but then the last part of the story takes you deeper into the emotions of the young couple. I enjoyed both parts equally and I thought it was really cleverly written that there was such a turning point to the story similar to a turning point that one might experience in the course of everyday life. 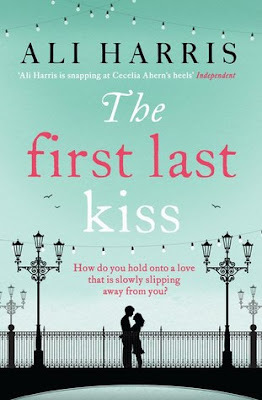 I so enjoyed reading Ali Harris’s second novel, it is as full of wonderful description and well-crafted writing as her Miracle on Regent Street, but I found it so hard to review without giving away any of the major events of the story! All I can say is that you will laugh, you will cry but I have complete faith that you will enjoy every single page of this delicious fictional journey over twenty years, two hearts and countless memorable kisses! Oh my gosh!! This sounds fantastic!! I love the idea of spanning over 20 years!! And it's been awhile since I've read a book where I cry in the end -- I think I need this!! This sounds so good! I am loving the sound of the pacing and the way the timeline is set up. I definitely think I need to check this one out.